Do you have a forgotten bottle of apple cider vinegar in the back of your pantry or fridge? Well, now is the perfect occasion to dig it out. 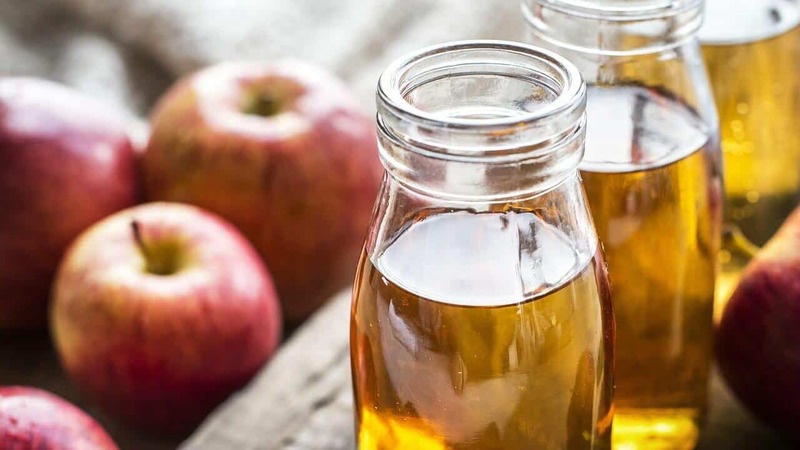 Turns out that apple cider vinegar, commonly used in homemade salad dressings and marinades, has some surprisingly helpful uses—from improving your health to cleaning your home. With just a few tablespoons you can makeover your home, body, and family. First things first: what exactly is in apple cider vinegar? The vinegar is made from apples, yeast, and occasionally sugar. It contains some B vitamins, vitamin C, and other nutrients like folic acid. There’s little regulation on what must be in apple cider vinegar for it to count as apple cider vinegar. So, nutrient percentages vary from brand to brand. Obviously, one would expect a higher quality to be better, percentage-wise, so be cautious of that. Apple cider vinegar has been said to lower blood sugar levels. This can be especially helpful to people with type-2 diabetes. But if you already take medication for your diabetes be sure to consult with a doctor before taking a dose of the vinegar. If you would like to eliminate germs and bacteria in your home, consider making you own disinfectant. All you need is equal parts apple cider vinegar and water in a spray bottle. When you clean, remember to disinfect your faucets, fridge handles, and stove knobs. In diluted doses, apple cider vinegar can be used during your pet’s bath time. It can help with unpleasant odors and itchiness. It is also said to be a deterrent for fleas and can leave your pet’s hair feeling silky smooth. Just be sure to consult you’re your vet before giving your pet a bath. And if you do decide to bathe them with it, avoid their eyes, nose, and mouth. Using apple cider vinegar in your beauty routine may sound ridiculous, but it may actually be worth a shot. You can use it in diluted amounts to help fight dandruff, cleanse oily scalps, and clear acne. But, as always, consult your doctor first. Bonus. Looking for other pantry staples with healing powers? Consider ginger, which can help your immune system, or cinnamon, which has anti-inflammation properties. Want to learn more? Check out this Mindful article.